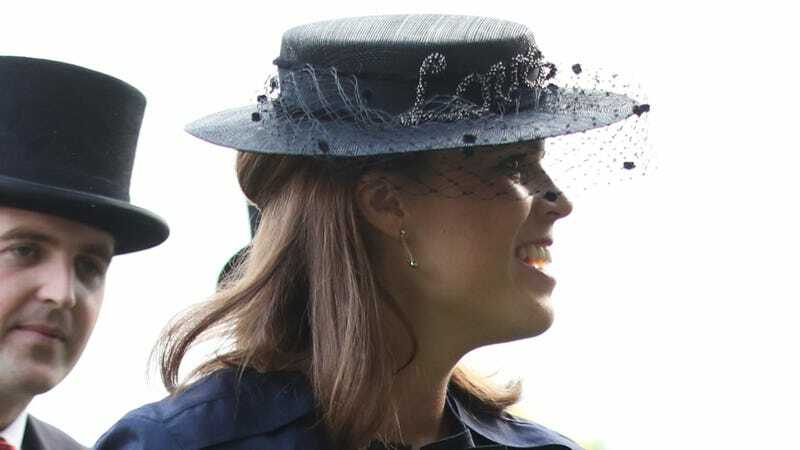 Guests at the royal wedding of Princess Eugenie to Jack Brooksbank will be asked to hand their phones over before entering. Also, don’t bring a gift. Why you would bring a gift to an 850-person party in the first place, I don’t know. This is funny in part because Eugenie apparently got in trouble for an Instagram from a private part of Buckingham Palace. Though, really, shouldn’t the whole palace belong to the nation? AM I RIGHT? You don’t simply stroll up to Windsor Castle and knock on the front door, by the way. A-listers and socialite randos alike are asked to bring two forms of identification to “a farm shop in Windsor,” where they will board buses for transport to the ceremony. (Look—whatever helps the people of Windsor, which has a very tight town center, contain the traffic.) According to Hello, attendees will most likely not include George Clooney, co-founder of Casamigos, the liquor brand that employs the groom; however you can expect to see Ellie Goulding, James Blunt and Ed Sheeran, as well as Robbie Williams, whose identity I’ve honestly just never been able to really lock into my brain. While all those guests should plan to surrender their phones and leave their gifts and “hand luggage” at home, “the couple do have a wedding registry and should send gifts to the Duke of York’s office at Buckingham Palace.” If you know where they are registered, please do get in touch, if only to give me the satisfaction of knowing whether I guessed correctly. Most importantly: “Guests are also advised that there are ‘limited toilet facilities’ in the church which will only be in use from 8 to 10 A.M,” i.e., before the wedding ever starts. Don’t forget to go before you leave, Ed!